So I realize it’s a bit odd to follow a post about having less stuff with one telling you what I just bought, but I warned you it was a complex relationship, so you’ll just have to roll with me. In matters of spending it’s been a bit a “foodie” week… It started innocently enough -- I swung by the bookstore last week to grab some reading material for the long drive down to the coast and ended up leaving with Alice Waters and Chez Panisse and Best Food Writing 2008. 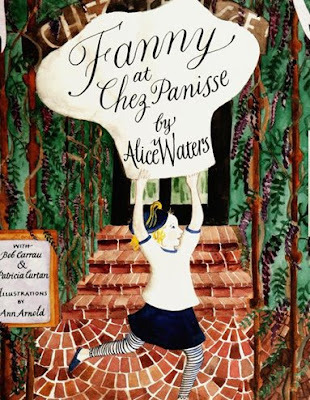 Totally caught up in the story of Waters and itching to cook, a few days later I bought her daughter Fanny’s cookbook/memoir of growing up in the Chez Panisse world and one of Water’s cookbooks, The Art of Simple Food. Actually the theme has been brewing for a while, as after getting my subscription to Gourmet, reading A Homemade Life and then tearing through The Tenth Muse during our spring beach trip, I’ve been a bit, well… obsessed with food writing. Which is ironic really, as I’m constantly making fun of my husband for his habit of latching onto a subject, say the history of plastic (I’m not kidding) and then reading every book, article, Wikipedia entry, etc…that exists on the topic until he’s sufficiently satiated. Oh and I also bought two new saucepans, as you can’t read loads of food writing without wanting to cook, and you can’t cook without pots…and my husband (sweet thing that he is) burned both of my saucepans while boiling sugar water (don’t ask.) So while the books were a bit of a virtuous luxury, the pans were a necessity…at least that’s what I’m telling myself. Try Laurie Colwin's Home Cooking and More Home Cooking! I read them over and over... They're like comfort food! You might want to read Michael Pollan's In Defense of Food. Really fascinating and eye opening. I couldn't put it down. I just ate at Chez Panisse for the first time over the weekend! It was unbelievably good. Just wow. What a sweet children's book. These look great. Did you see Alice Waters on 60 Minutes a couple months ago? Her home and garden look amazing. I saw that. she's pretty amazing, no? Cool, she wrote a children's book. I love that. If you haven't read it yet, Julia Child's _My Life in France_ will change your life and make you want to move to Paris. She was such a treasure! love her I use art of simple food every month. I am captivated by alice! There's always the library, which usually has a great crop of food memoirs and cookbooks. Then if you really love it and want it as reference, you can buy it (used, from Amazon perhaps?). And you can place books on hold (reserve) so you know it'll be there waiting for you when you go to the library - they'll send you an email when it's ready for pickup. I *LOVE* the art of simple food. it is my go to cookbook for everyday good food. my favorite most simple recipe in there? carrot soup. you will be amazed at how yummy it is. and so easy. i have been wanting that alice waters cooking book. is it good? have you read it? see you tonight! 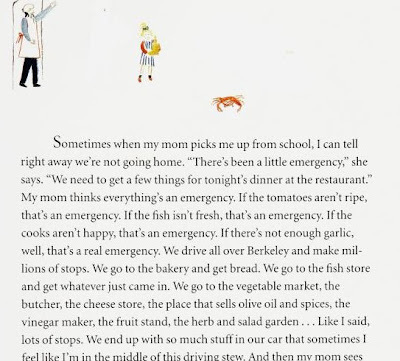 I LOVE Fanny at Chez Panisse, my aunt bought that for me when I was little and it was my favorite book, I always wanted to open my own garden restaurant where you could pick fresh veggies for your meal like in the book. Totally forgot about it, thanks for the memory! i loved the alice waters book! read it during my last vacation. Fanny at Chez Panisse was an amazing part of my childhood. My mom kept it on the shelf with all of her cookbooks. This book was the beginning of my love of cooking. Every child should have a copy. 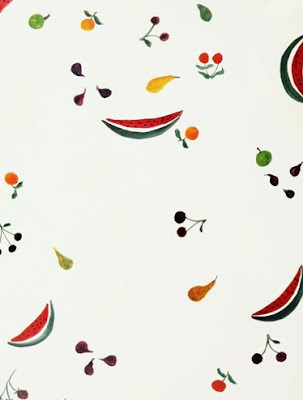 i have become a bit obsessed with food in the past few months too--and alice waters is at the top of my list! 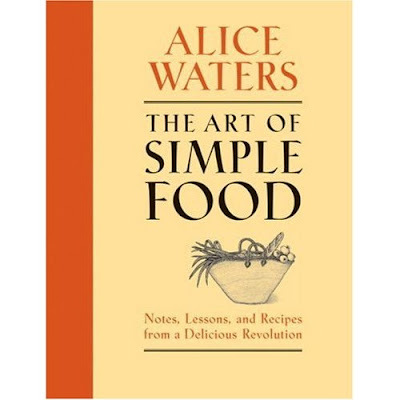 her simple food book is an awesome purchase--it is beautiful and simple and inspiring and straightforward. i would love to purchase the fanny book for myself!